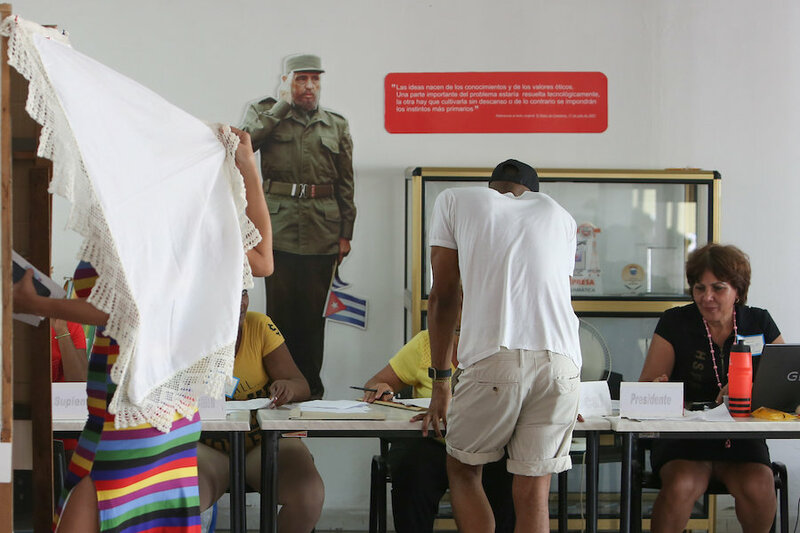 HAVANA: Cubans have overwhelmingly ratified a new constitution that enshrines the one-party socialist system as irrevocable while instituting modest economic and social changes, according to the national electoral commission. Alina Balseiro Gutierrez, president of the commission, said at a Havana press conference on Monday that preliminary results showed 84.4% of the 8.7 million potential voters participated in the Sunday referendum. She said 86.85% of voters ratified the charter, 9% opposed ratification and 4.5% spoiled or left ballots blank. By comparison, in 1976 when the current constitution was ratified, 99.02% of voters in a 98% turnout reportedly ratified and just 54,000 were opposed. Nevertheless, duelling campaigns to vote ‘yes’, ‘no’ or abstain raged on the internet. The Roman Catholic Church issued a critique read in churches, and many evangelicals said they were opposed. Dissidents, who were divided between those who advocated a ‘no’ vote and those who called for abstention so as not to legitimise a process they deemed a fraud, reported a few incidents across the country of members being temporarily detained or harassed. “The Cuban government engaged in an unprecedented campaign to assure an overwhelmingly positive vote on the new constitution as a way to legitimise both the market-oriented economic reforms underway and the new leadership of President Miguel Diaz-Canel and the post-revolutionary generation,” American University professor of government and Cuba expert William LeoGrande said.